This afternoon THR reported that both Sharlto Copley and actress Jessica Biel were in final negotiations to star in the television series adaption. The report gave validity to the earlier rumors, but now we have official word from 20th Century Fox that both Copley and Biel will definitely be in "The A-Team". 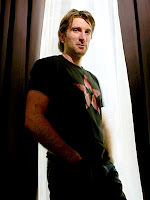 20th Century Fox nabbing Sharlto Copley for the role of Howling Mad was a terribly smart move. The studio was able to grab an actor whose price is still low while his popularity is on the rise (a perfect combination). The big question mark with Copley is how well will the South African actor pull off an American soldier? Based off his performance in District 9, I am not all that worried, but more so excited to follow the progression of the film's production. Jessica Biel has been cast as an old flame of Faceman, who is played by The Hangover star Bradley Cooper. THR reveals that Biel's character is also an Army general who is now pursuing the A-Team. 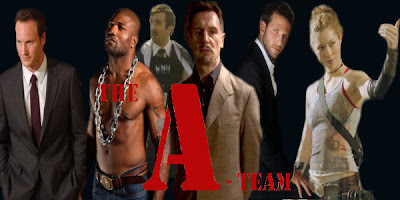 Also joining "The A-Team" is Patrick Wilson, who will play a CIA operative (most likely also hunting the A-Team).